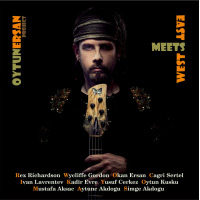 Oytun Ersan is a Turkish Cypriot bassist, composer and recording artist best known for his soulful grooves, technique and melodic Jazz Fusion compositions. At the early age of 15, Oytun joined the International Nicosia Municipality Orchestra as a saxophone and bass player where he is still working for the last 20+ years. Oytun has performed and collaborated with a range of acclaimed artists including trombonist Wycliffe Gordon, trumpeter Rex Richardson, Nigerian singer/songwriter Ola Onabule, Bob Franceschini, Mitch Forman and many others. 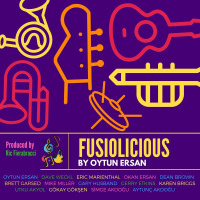 He released his second Jazz Fusion album Fusiolicious in April 2018. The album, which has been a great success, is produced by the legendary bassist Ric Fierabracci and features some of the most influential Jazz musicians of our century such as Dave Weckl, Eric Marienthal, Gary Husband, Gerry Etkins, Dean Brown, Brett Garsed, Mitch Forman, Mike Miller and Karen Briggs. Oytun currently resides in Cyprus island and travels internationally for festivals, gigs and exhibitions. All About Jazz musician pages are maintained by musicians, publicists and trusted members like you. Interested? Tell us why you would like to improve the Oytun Ersan musician page.